Talk now to a criminal defense lawyer with over 25 years of experience. If you have been arrested, or charged with a crime, or just think you might be in trouble, the smartest thing you can do is to talk to an experienced criminal defense lawyer before you talk to anyone else. I have practiced criminal defense law since 1992. After graduating from law school at the University of Wisconsin, I was a criminal defense lawyer in Madison, Wisconsin, where I worked alongside two very well known and respected criminal defense lawyers. During my time as a lawyer in Madison, I handled every type of criminal case, including drunk driving, marijuana and drug cases, sexual assault, robbery and homicide. I have tried and won many very serious criminal cases in counties around the state. In 2000, I moved my law practice to the North East Wisconsin area. I serve clients in Green Bay, Sturgeon Bay, Kewaunee, Marinette, Manitowoc, Oconto, Appleton, Shawano, Oshkosh & Sheboygan, and Wisconsin Counties including Brown, Door, Kewaunee, Marinette, Manitowoc, Oconto, Outagamie, Shawano, Winnebago and Sheboygan. I am available almost anytime for a free initial consultation. Call or text: 920.606.7166. You also can email me by using the contact form below. If you have been accused of a crime, or think you might be, you need an attorney with specialized knowledge of criminal defense in the State of Wisconsin. Criminal defense law is complicated, and your freedom, reputation, and possibly your job are all at stake in a criminal case. In a criminal case the most important thing is to have an experienced criminal defense lawyer. I tell all my clients, “never talk to the police” without an attorney present or without first talking to a lawyer specializing in criminal defense. Successfully represents Oconto area man. An Oconto Falls man was acquitted Friday on charges he sexually assaulted his young relative. John E. “Jack” Brabant, 63, was tried on three counts of first degree child sexual assault-sexual contact with a child under age 13. A seven-man, five-woman jury returned the not-guilty verdict after about 2-1/2 hours of deliberations. The trial opened Tuesday, with testimony ending Thursday night. The assaults were alleged to have occurred between Nov. 1, 2011 and Nov. 26, 2013. The girl was about 5 years old when the first assault was alleged to have happened. The girl told a forensic interviewer that the incidents occurred while she sat or laid on her Brabant’s lap while he sat in his chair at home. She said his hand made a “gently scrunching’ movement under her clothes but on top of her underwear. They were covered by a blanket. However, the girl did not repeat that description of what occurred during her testimony. 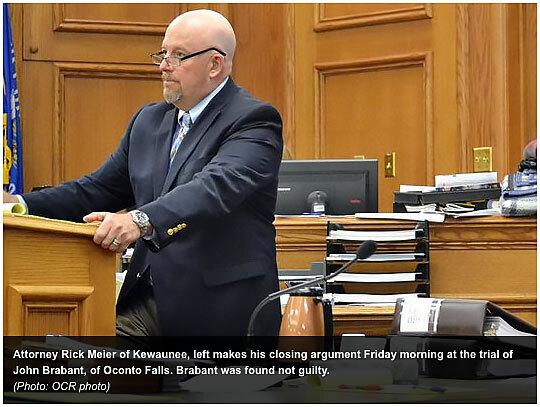 In interviews with Oconto Falls Police, Brabant denied he touched the girl in that way or otherwise assaulted her. In closing arguments Friday morning, defense attorney Rick Meier suggested that leading questions asked of the girl by adults before the forensic interview were responsible for accusations. He also contended that details of the girl’s description of the incidents don’t make sense or contradicted what family members observed at the time. Oconto County District Attorney Ed Burke though, reminded the jury of expert testimony that children don’t remember things like adults. Memories that are “mashed up” still reflect actual events, he said. Burke also said the girl had nothing to gain by accusing Brabant. Brabant was charged May 27, 2014 with one count of repeated sexual assault of a child, which alleges at least three instances of assault. That count was substituted by the new charges earlier this month. Both the original and revised charges are punishable by up to 60 years in prison. 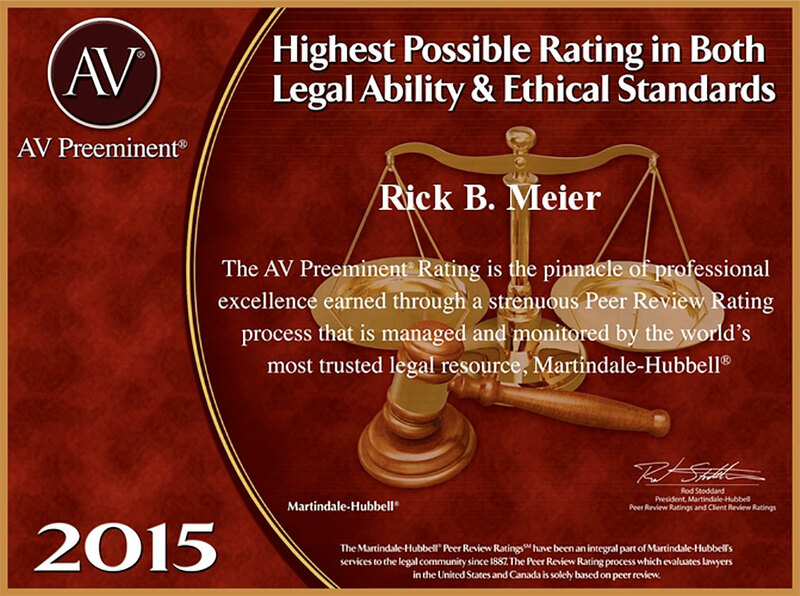 Rick Meier has been voted by his peers in 2012 & 2013 to be among the top rated attorneys practicing criminal law in the State of Wisconsin. 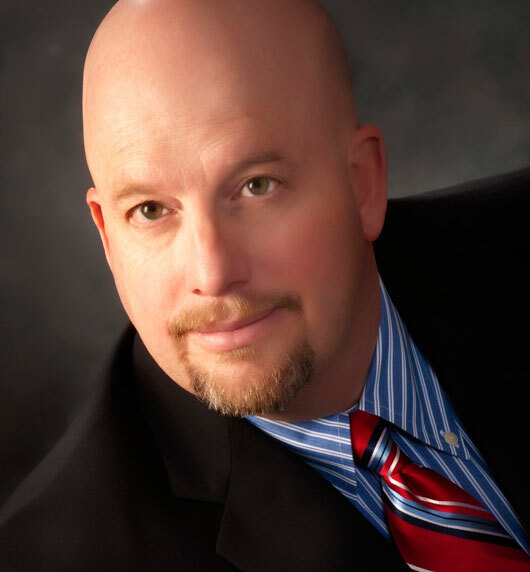 Practiced criminal defense law since 1992 in Madison and across the state, and in the Fox Valley/Northeast Wisconsin area since 2000. Exclusively practices criminal defense law, and has represented people charged with everything from drunk driving to first-degree homicide. 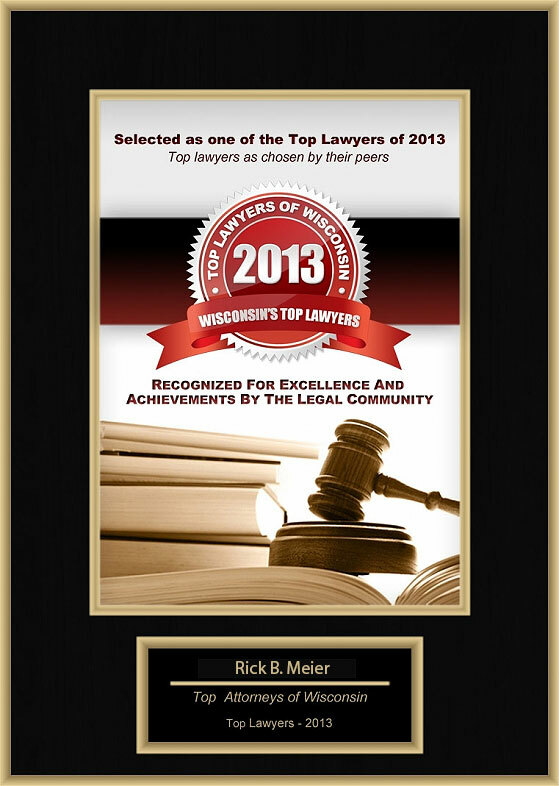 Tried, and won, numerous criminal jury trials in counties throughout the State of Wisconsin. Rick Meier is an active member of NORML, The National Organization for the Reform of Marijuana Laws. Not only is he smart, he puts his clients at ease with his insights. Use this form to get in touch with Attorney Meier today.